FXR inverter/chargers can be paired with a MATE3s remote to add OPTICS RE to remotely monitor and control system performance from any location. 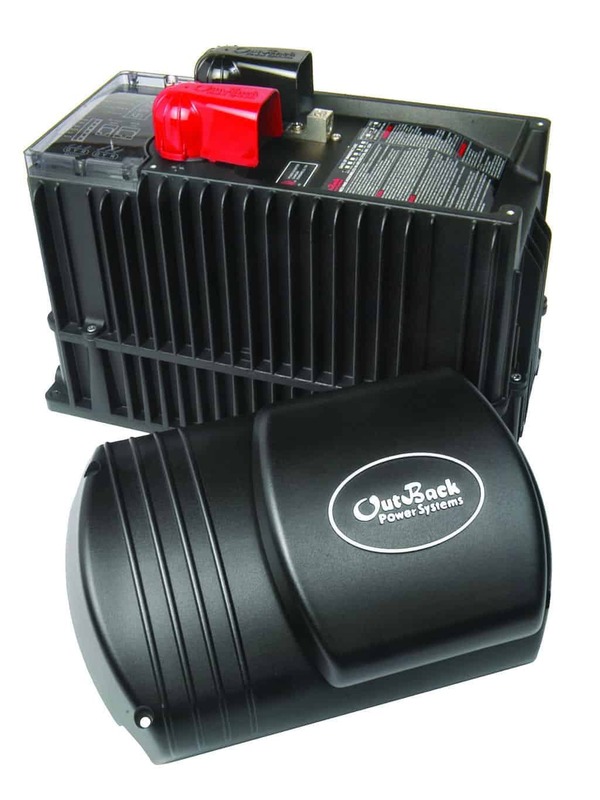 Available in power ranges from 2000W-3600W, multiple units may be stacked and connected with other OutBack Power electronics for more seamless system integration and the ability to function in a wide variety of applications, and system sizes. Up to nine inverters can be combined in a 3-phase system with the 12V, 24V or 48V models, and up to 36kW in a grid-tied 24V or 48V system. The exclusive modular system architecture means that increased power output is just an additional FXR inverter/charger away.